I finally received my Althea Angels Welcome Gift Box a few days a go and I immediately went ahead and did an unboxing video which you can watch here. 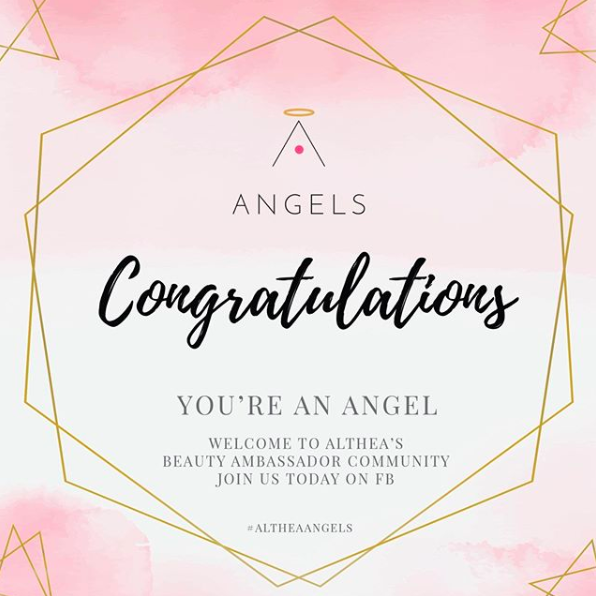 I am super duper excited and beyond happy to be part of the Korean Beauty community that Althea Korea organized. 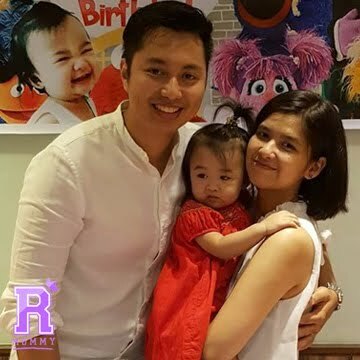 I, never in my entire life of blogging and vlogging would have thought that I'd become part of such a fun community! And this by the way has motivated me to pursue my long lost passion of vlogging! CANT WAIT TO GET A NEW CAMERA SOON! EEEEKKK!! 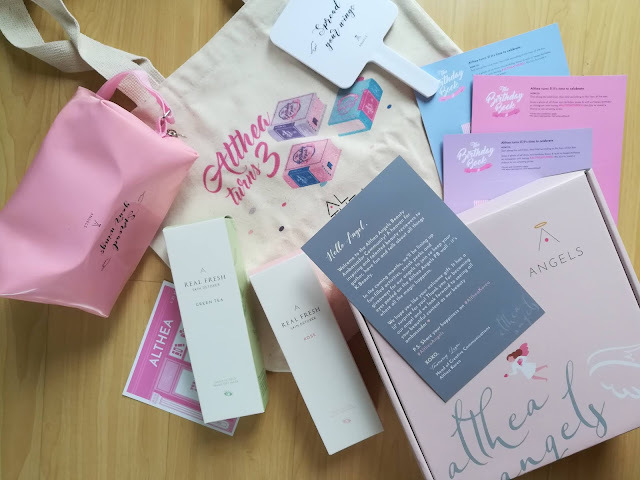 Anywhoooo, here's a close-up of what I got plus a sneak peek of the two new products that Althea Korea and Get it Beauty TV will be launching soon. 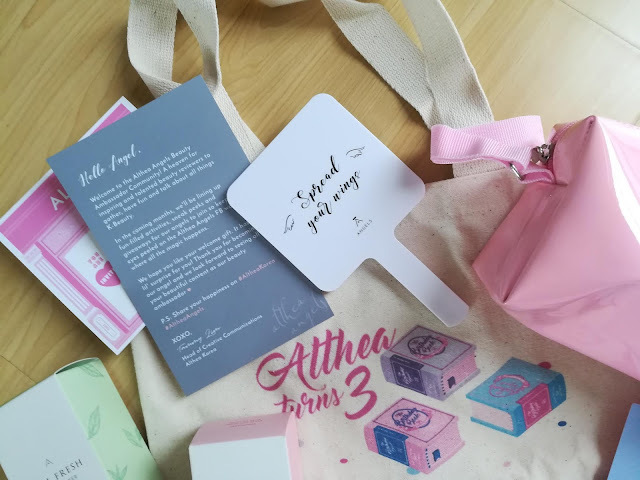 I have here the welcome message by Tammy, a handy mirror and a very cute pouch that says "Spread your wings", also the tote bag! So cute! 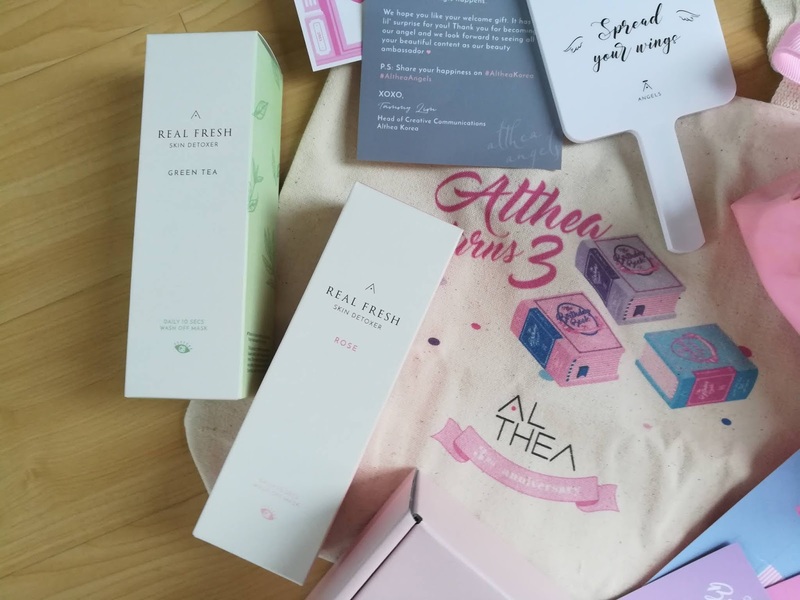 Here's the two new products launching soon on the Althea Korea website. 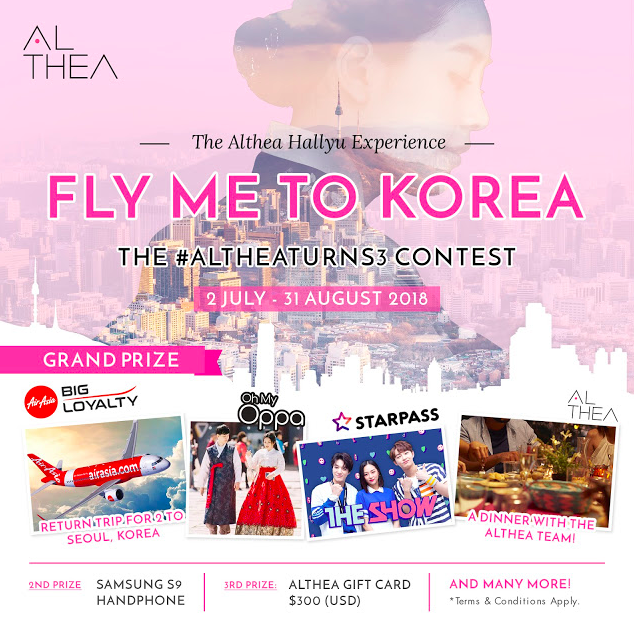 It's a collaboration between Althea and Get it Beauty TV. 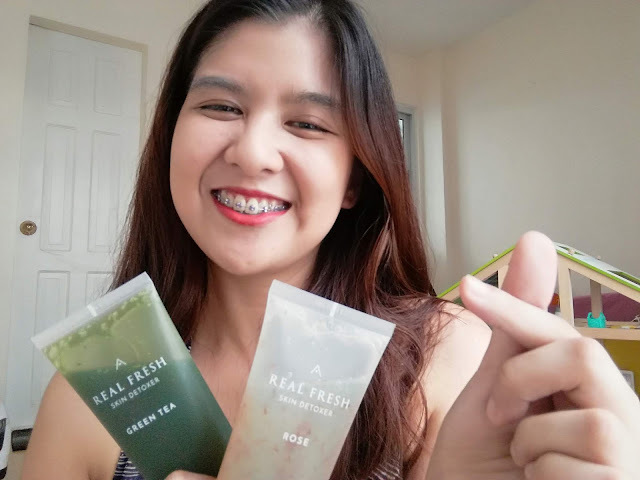 Watch out for this, I'll definitely make a separate blog and vlog, maybe after a week of using these products so I can better give you the ups and downs. And here I have the three birthday miniature boxes, which by the way are the ones you need if you want to join Althea Korea's 3rd Anniversary Birthday Giveaway. And here's me, just teasing you guys with these products!!! 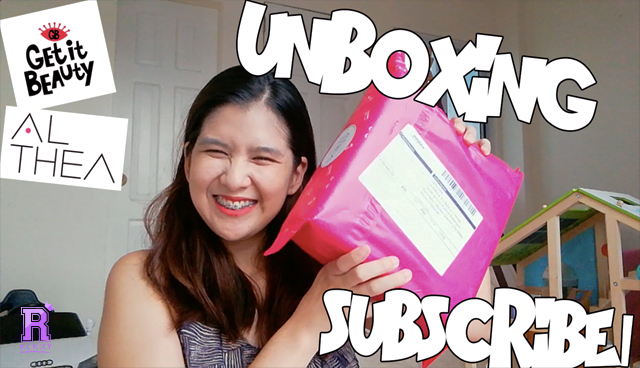 Stay tuned for more KBeauty content in my blog and vlog! 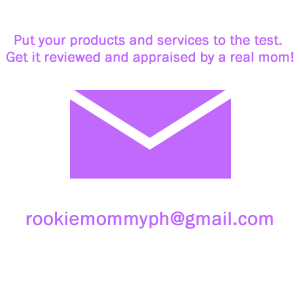 Rookie Mommy PH - Spread Your Wings! 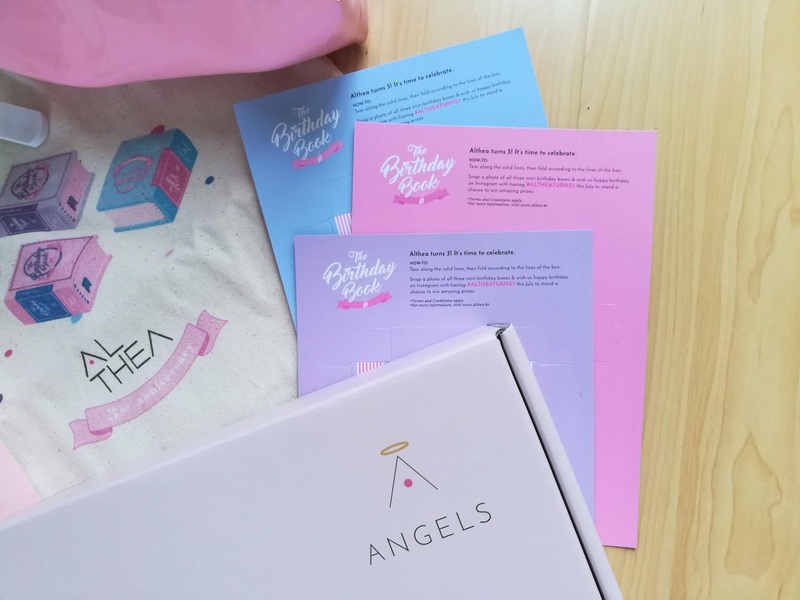 1 comment on "Althea Korea's Althea Angels Welcome Gift Box"